Thanksgiving is a very important holiday in La Mom’s household. You know, it’s actually pretty French à la base – cook massive amounts of food, sit around the table for hours, and pass out in a blissed-out gourmet coma. That’s why Big Cheese has always been a big fan of Thanksgiving. Until La Mom gave him a task other than eat, drink, and be merry. Big Cheese: Chèrie, I meant to tell you – the butcher who orders the turkeys changed management. They do not order turkeys in advance or cook them. La Mom: Merde, merde, merde. Where are we going to get a turkey this late in the game? Big Cheese (with exasperated Gallic puff): Do you really have to order them this far in advance? 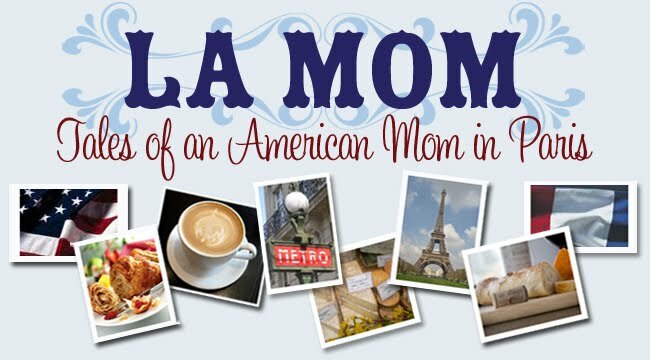 La Mom (exploding): What are you talking about? You’re French! You’re supposed to know this stuff! Do you remember the time when the foxes ate all the good turkeys at the turkey farm? Or the time when there was a train strike and turkeys couldn’t be delivered? GET ME A TURKEY! Big Cheese (alarmed): Bien sûr, mon coeur. La Mom may not know much about French cuisine, but I know French turkeys. The nerve of that Gaul. Imagine a Christmas without any presents. In France and throughout the world, this is a sad reality which The American Cathedral Love-in-a-Box Paris is trying to change. For 20 years, volunteers of various ages, nationalities and persuasions throughout Paris have joined together to provide holiday presents to children in local homeless shelters, orphanages and community centers. This year Love-boxes will also travel to Strasbourg, Mulhouse and Bulgaria. These children will literally receive one gift this Christmas; it's the gift of hope, fashioned in a shoe box by an anonymous, loving gift giver: YOU! Please click here for more information and to find out how you can help. Ze better get da goose. La Mom, you are starting to make me nervous. We are celebrating our first Thanksgiving here and I thought it was as easy as going to our Boucher and asking him to roast a bird, merde. I have been so preoccupied with where to get the pies and dessert, the rest of the meal has become secondary! I want it to be perfect because we are having French friends over for their first Le Thanksgiving! I remember that episode of 100% Mag! What a pity that you didn't meet Estelle Denis. Is the show still on, do you know? @donna baker - Or else 'ee ees een ze merde. @Annabelle - Get to your local butcher asap and order your COOKED turkey. Make sure it is cooked! I made that mistake one year and just ordered it and when Big Cheese picked it up 2 hours before guests arrived, the turkey wasn't cooked and we had to buy chicken for our feast! @Paris Paul - Yes, it was a pity we didn't get to meet the beautiful Estelle Denis! Hi! I hope you don't mind me dropping by your blog. I'm a British mum of 3 bilingual kids living in Spain. I was hoping other mums/dads in a similar situation might be willing to give me feedback on an idea that I have for a book club for kids living abroad? Please feel free to delete my post if it's not appropriate. @Virginia -Thanksgiving dinner can get pretty good in our house, but it'll never be as good as one in the USA. @devis - It is, I watched an episode last week. Wonder if they'll rerun Les Moms episode? @this is Belgium - Great! Is that an invitation? @supersocialwahm - If Christmas starts so early, you must be so happy when it's over. It must seem to drag on forever. Hi I found your blog through Piglet in France, which I found through another blog, A taste of Garlic. One of my friends from a Catholic (in the UK) organized "shoe boxes" to go to Romania .. which this year she is going to travel to and be there to see the boxes distributed, It will be a joy for her to see, as she has worked so hard to make sure that those without, have a very happy day.